Adapted from How Sweet's Bailey's Brownies, which are adapted from the same brownies as these. Add sugar and vanilla and beat until "fluffy" (about 2 minutes). 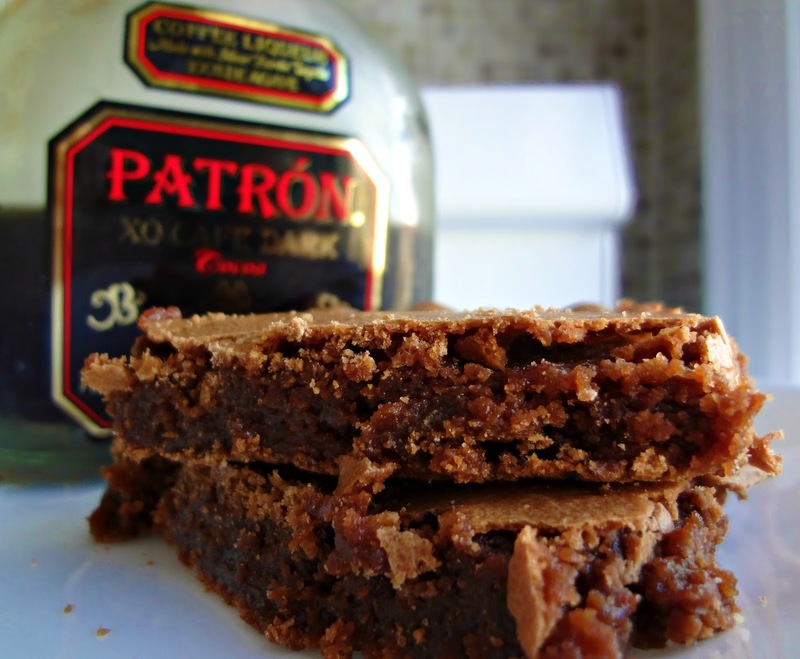 Mmmmm these look so rich and gooey and the booze doesn't hurt either! that was so genius! i don't usually drink liquor, but this makes me want to run out and get some just to make these! these look amazing! My hubby would love these! His favorite is Patron!! Have fun at your premiere this weekend, how exciting!!! Thank you! It went so well! Brownies and booze- double yum! They look so good. I love the concept of eating dessert and consuming alcohol at the same time. It spices things up a bit. 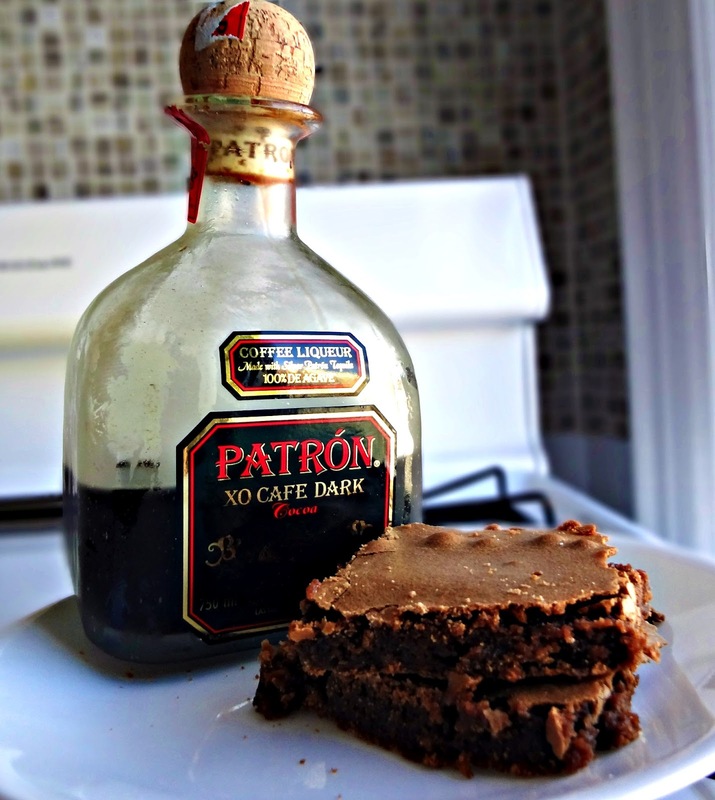 When I lived with my sister we had no idea what to do with this particular flavor of patron so we simply mixed it with milk and bailey's, we never thought to use it in brownies! Looks sooo gooey and delicious. Have a beautiful weekend! Yea! Tequila it's a party!! Kayle did you make Boozy Brownies as a to-go snack for the road to CT? I am soo making these heehee. Where did you find this kind though? We need a little booze, every now and then, don't we? Looks yummy! Thanks for sharing! 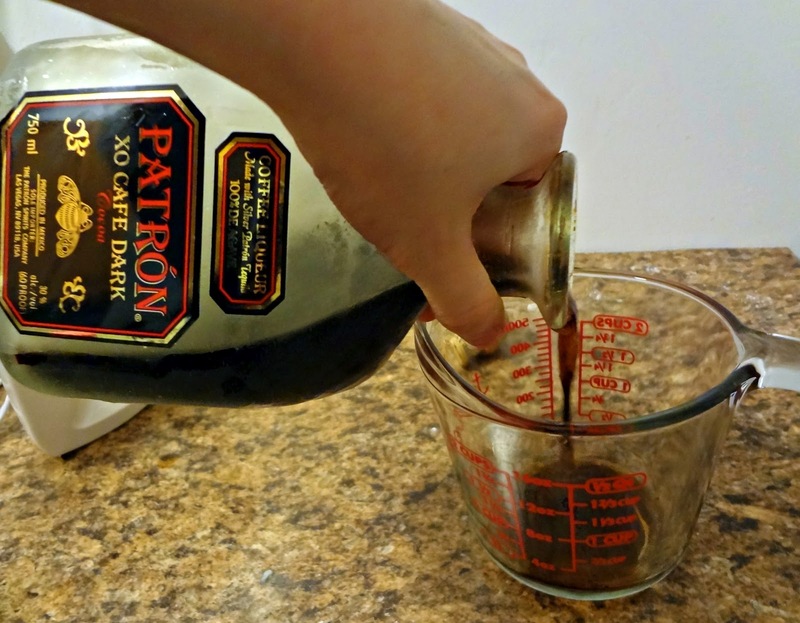 Whoa I have got to get me some of that Patron. I imagine it is tasty by itself as well as in these brownies. Cool that you used to do liqueur promotions-a girl with many hats! Very creative recipe here and excellent flavor combo. Hope you are enjoying your weekend! Hi, Kayle. I'm stopping by to give you the versatile blogger award. Thanks for providing me with all of your decadent recipes. Keep on whipping up greatness. Those look like really moist and yummy brownies. Your site is very nice!! 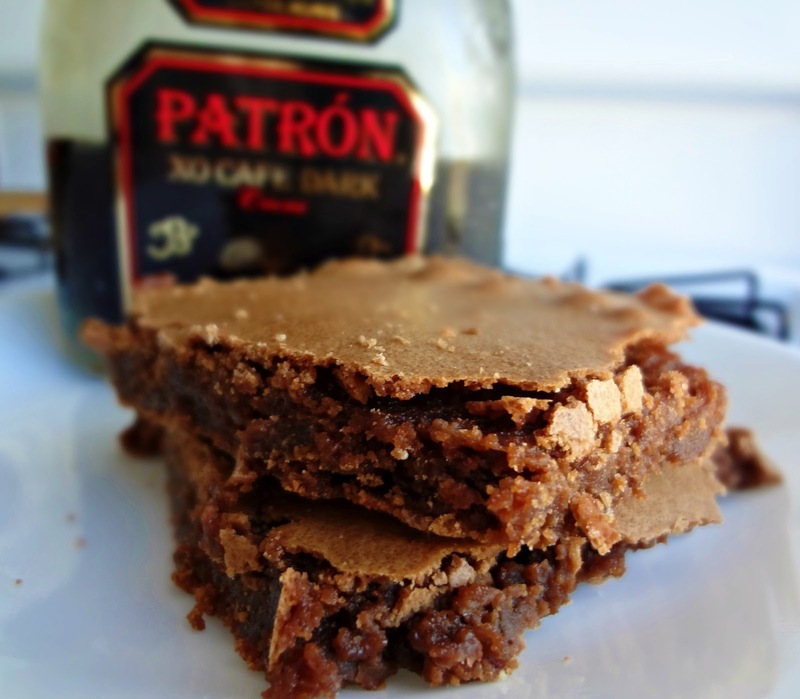 Do you have any recipes for Patron XO in a cake? 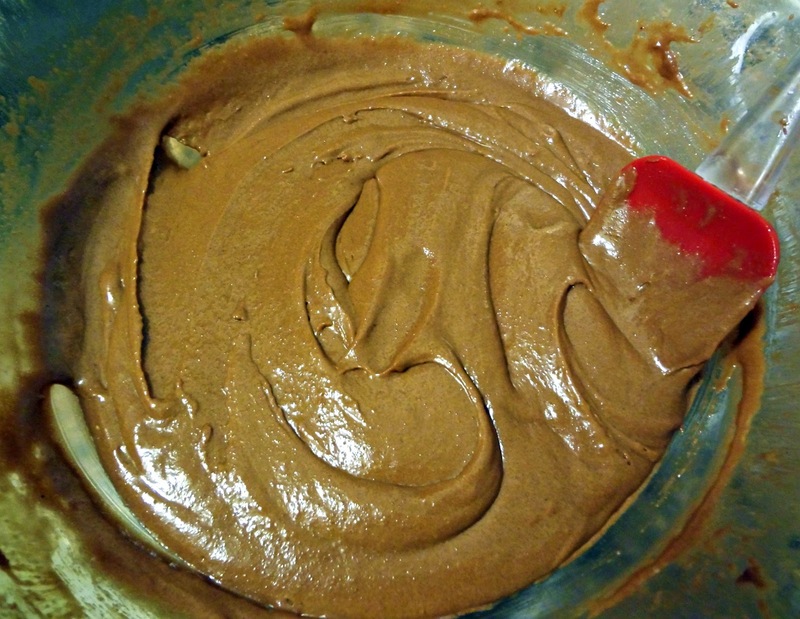 I am sure I can adapt this brownie recipe for a cake, but I cant. LOL. no idea how to do anything without a recipe! !